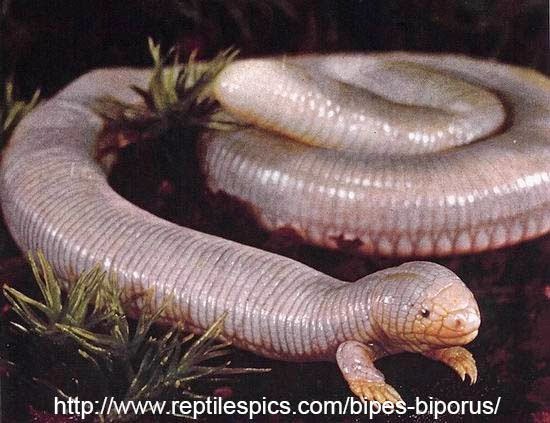 You may have heard of Bipes biporus under the name of Mexican mole lizard. If you are wondering what it is, I assure you it is a lizard. It just looks like a weird worm. They grow up to 24 cm in length and live underground feeding of subterranean insects like ants. They occasionally make trips to the surface after heavy rain. 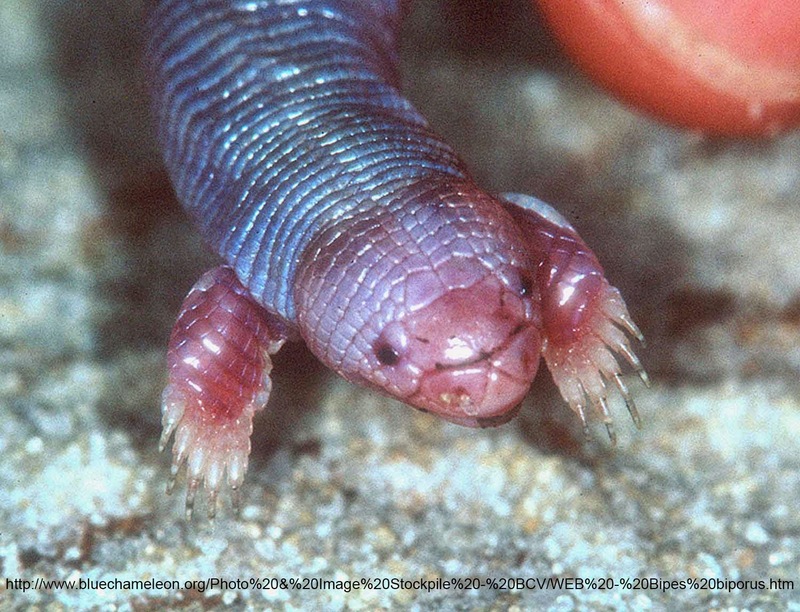 Mexican mole lizards are endemic to the Californian peninsula, Mexico.